Charge two devices simultaneously while you're on the go with the USB Type-A and USB Type-C Car Charger from IOGEAR. This travel-friendly charger is equipped with two USB ports: a Type-A port and a Type-C port. The Type-A port outputs 1A of power, while the Type-C port outputs 3A to quickly recharge all your compatible devices, including select tablets, smartphones, and more. Its compact design plugs into any 12V lighter socket or power port. 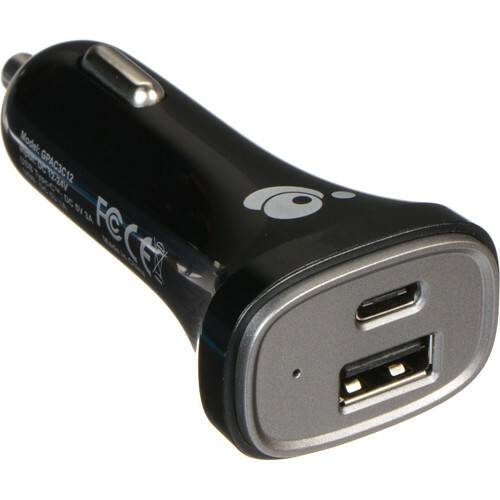 Box Dimensions (LxWxH) 5.9 x 4.4 x 2.0"
USB Type-A and USB Type-C Car Charger is rated 3.5 out of 5 by 2. Rated 4 out of 5 by Tabi from Works well; Decent charger in my car. Wish it was higher-speed but it's just fine.